Don’t Look Back Your Not Going That Way! These are the guidelines to be used after your intial weight loss surgery. You may also use the guidelines at any other time in your journey that you may need to jump start your weight loss again. These are the guidelines to be used after your initial weight loss surgery. Fun Fact: The word protein is derived from the Greek word “proteios,” meaning “first rank,” “first place” or “primary.” The origin of the word is befitting of a compound that is essential for life. Besides water, protein is the nutrient of primary importance following bariatric surgery. Protein is a structural component of all cells (hair, skin, muscle, organs and more) in the body. Its major functions in the body are tissue growth, repair and maintenance. Unlike carbohydrates and fats, protein stores in the body are limited, with storage mainly in muscles, tissues and organs. When energy intake (food/calorie intake) is low (as in weight loss) your body will breakdown muscles and tissues. After weight loss surgery protein becomes especially important in the diet for use as a dietary energy source to preserve your lean muscle. Fun Fact: Research suggests that timing and distribution of protein throughout the day are important to obtain maximum benefits of muscle growth and repair as well as to reap the advantages of fullness, satiety and glucose (blood sugar) control. According to The Academy of Nutrition and Dietetics, your muscles will not use more than 30 grams of protein consumed at one meal. After Surgery:In general, you will need about 60–80 grams of protein per day. Talk to a registered dietitian to find our your specific needs. Remember to distribute your protein throughout the day! Digestion of proteins begins in the stomach and continues in the intestine. Protein deficiency can occur after any bariatric surgery. No matter which procedure you choose, along with water, protein is the primary nutrient of importance following your surgery. Protein is essential for the transportation of vitamins and minerals in the body. Insufficient protein can result in several vitamin and mineral deficiencies and can lead to fatigue, muscle wasting, reduced immune system and even organ failure. Whey Protein– Whey is a protein portion of milk. Whey is left behind after the “curds” have been removed in the cheese making process. Casein/ Milk protein – Casein is a milk protein derivative. The terms “milk protein” and “casein protein” are often used interchangeably. Casein is absorbed at a slower rate than whey. 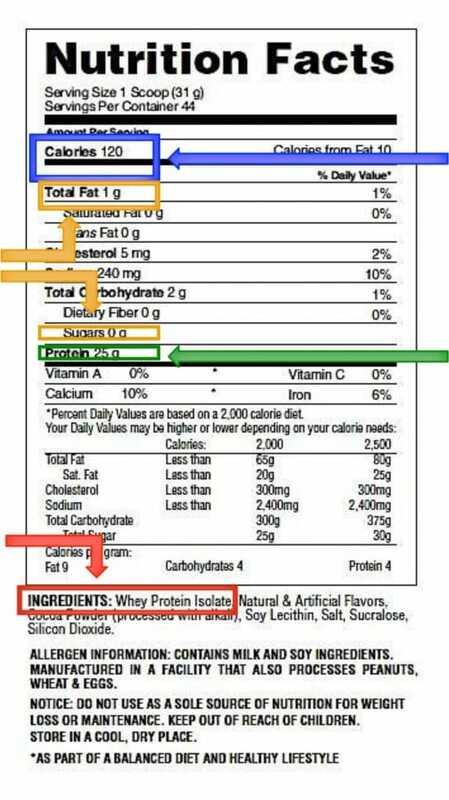 On nutrition labels casein usually appears as calcium caseinate or sodium caseinate. Egg White Protein– Egg white protein is absorbed faster than casein but slower than whey. It is a complete protein that is a good choice for those who wish to avoid dairy based supplements. Soy Protein– Soy is a plant-based protein that contains all of the essential amino acids, making it a complete protein. It is a good choice for those who wish to avoid animal products. Rice Protein– Rice protein is hypoallergenic. Rice protein is not a complete protein source. Pea Protein–Pea protein is not a complete protein and is not as readily digested as animal proteins. Whey Concentrate vs. Whey Isolate. Whey isolate is more pure than whey concentrate. This is because isolates have had many nonprotein portions removed in order to “isolate” the protein portion. Whey concentrate contains more lactose (milk sugar) and fat than whey isolate. This means that when comparing the same amount of whey concentrate and whey isolate, whey isolate will provide more protein with an equivalent serving. Aim for less than 5 grams of sugar and less than 5 grams of fat per serving. Many products have 0 grams of both sugar and fat. The first ingredient is the most abundant in the product. Choose a product in which the first ingredient is an Isolate such as whey, hemp, soy, etc. Ready-to-drink supplement’s first ingredient will be water the second should be an isolate protein. Protein powders should have approximately 100-150 calories per serving. Higher calorie supplements are often the result of added sugar or fat, but may also be due to very high protein contents. Remember additional calories will be added when you mix your protein powder with milk. Look for 20-30 grams protein per serving (higher than 30 is unnecessary (see “protein distribution”) and will contribute to increased calories consumed). Remember an isolate (whey, soy, hemp etc.) will provide more protein than a concentrate even if the grams per serving are equal. This applies to an isolate and concentrate of the same source-soy, whey, hemp etc.